Office 365 has been on the market now for more than two years, and Microsoft has been steadily improving their “software plus services” productivity suite since it was launched. Microsoft is also locked in a heated battle with Google over the market for cloud-based office suites, with the two tech titans swapping competing customer deployment stories like battleships exchanging fusillades: Microsoft scored the State of New York and Aston Martin as Office 365 customers, while Google has signed up the State of Colorado and Genentech. While it’s unclear who is currently winning the battle, it is clear that Microsoft has gone from an also-ran to a competive player in cloud-based productivity suites very quickly. It’s taken two years worth of updates and improvements to reach this point, but Microsoft shows now signs of slowing down their feverish pace of Office 365 updates, which you can track in the official Office 365 tech blog. So why has Office 365 gained so much ground in less than 24 months? Here are some reasons why I think Office 365 will continue to grow into a significant business for Microsoft and continue the fight with Google over the hearts (and wallets) of IT administrators. While there are technically two primary variants of Office 365 — the Home and Business Editions — Microsoft does offer a plethora of other options for business owners. The Office 365 Home edition can be used on up to five PCs and five mobile devices for a $9.99 monthly fee, which makes it a great deal for families with multiple PCs. I’m amazed that it took Microsoft so long to bring out versions of Office for iOS and Android tablets. Microsoft is a software company after all, so why shouldn’t their apps run on the world’s most popular mobile OSes? Office mobile is now available for Windows Phone 7/8, iOS, and Android devices, although with one fairly huge caveat: Only existing Office 365 subscribers can use the apps, which seems to be an overly ham-fisted way for Microsoft to increase Office 365 subscriptions. Gripes aside, it is good to finally be able to download Office for my iPhone. Microsoft’s soon-to-be-renamed SkyDrive cloud-based storage service has also gone through a few growing pains over the years, but I think Microsoft has finally figured this one out. Especially useful for IT administrators is SkyDrive Pro, which serves up a communal online storage space for Office 365 business users. Files and folders can be synchronized between desktops and mobile devices, and SkyDrive Pro includes helpful admin controls that let IT pros easily manage the account. SkyDrive Pro may not be perfect, but it’s a giant step in the right direction for Microsoft in the cloud-based file sharing department. If historically you’re a Office user like I am (I think I started using the very first version of Microsoft Office way back in 1989), you tend to get accustomed to using things a certain way. 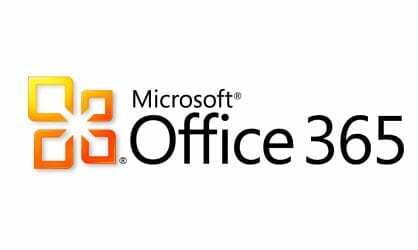 All of the components of Office 365 feature similar user interfaces as recent versions of Microsoft Office, which can be a big deal for office training and user education. Microsoft has experience on both sides of the user interface coin here, as the furor over the removal (and subsequent reattachment) of the start button in Windows 8/8.1 can attest. Another bonus for system administrators is that Office 365 can integrate fully with Active Directory, which makes managing users already in an existing corporate AD structure that much easier. We’ve already posted an article series all about integrating Office 365 with Active Directory, and we’ll have more articles on the topic in the near future. Microsoft has invested heavily in providing robust back-end management tools for Office 365 administrators, and is continually adding new features and functionality. Case in point: Microsoft has introduced the Office 365 message center that keeps admins updated on new Office 365 features, and a new password hash sync helps keep your AD synchronized between on-premise and cloud-based Microsoft services by integrating login info. As a cloud service, Office 365 is being updated on a regular basis, so even more updates and improvements can be expected over the months and years to come. Even though most of us take our laptops with us these days, there are times when that isn’t an option, and you’re forced to use a PC owned by family members, or possibly need to log on to a PC while visiting a remote office, or perhaps at the library or other public locations. That’s where the handy “Office on Demand” feature comes in: If you’re an Office 365 subscriber and need to create or edit any office documents, just logon to your Office.com account using a Windows 7/8 PC and create/edit a new Office document. Office on Demand will stream Word, Excel, PowerPoint, Access, or Publisher directly to that PC. It also won’t use up any of your licenses when doing so, as any program files installed on the local PC will be removed when you’re done. See below for a video from Microsoft that gives a bit more detail on how the process works. So are you already using Office 365, or planning to deploy it in the near future? Drop me an email with your thoughts, or reach out to me on Twitter. Jeff James is a Content Marketing Strategy Manager for HP Enterprise, focusing on HP Technology Services. He is the former Editorial Director for the Petri IT Knowledgebase, and also was the Editor-in-Chief of both Windows IT Pro and Microsoft Technet Magazine. Jeff also served as an editorial director at the LEGO Company, and has more than 20 years of experience as an award-winning technology writer, journalist, and digital content producer. Jeff started writing technology articles for AmigaWorld, Computer Gaming World, and other tech publications and websites in the early 1990’s.